Why Doesn't God Listen to Our Prayer? How to Pray So God Will Listen? Why Doesn’t God Listen to Our Prayer? How to Pray So God Will Listen? Prayer is a way for us Christians to maintain a proper relationship with God. Especially, prayers in the morning and at night are indispensable. 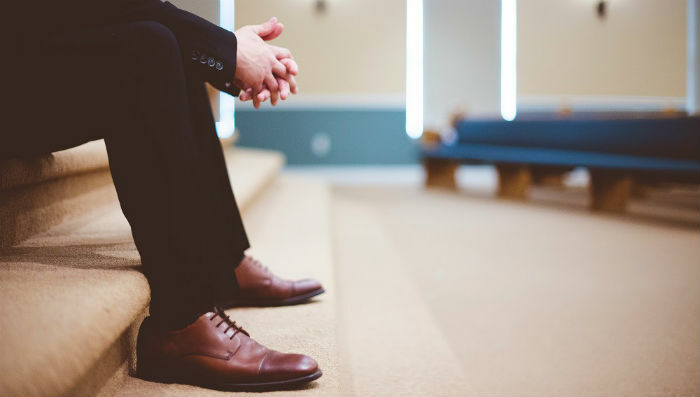 Although Brother Zhang insisted on praying every day, he still felt the Lord didn’t listen to his prayer, and he even couldn’t feel His presence. When he posted this feeling on the Internet, it aroused an echo among many brothers and sisters. To prove Brother Zhang’s words were true, some brothers and sisters also opened their hearts, saying that although each time they said many words to God when prayed, it was just like they were speaking to themselves or talking into the air. And they obviously felt the Lord didn’t listen to their prayer. Thus they doubted whether they have been abandoned by the Lord. Reason 1: We don’t pray to the Lord with our true heart but treat Him as a fool and deceive Him. The Lord Jesus said, “when the true worshippers shall worship the Father in spirit and in truth: for the Father seeks such to worship him” (Jhn 4:23). However, we usually don’t quiet before the Lord and use our hearts to pray to Him. Sometimes our tips seem to move, but our hearts are upset, filling with household matters and jobs; sometimes we only move our lips but don’t stir our hearts, going through the motions to speak some words without a sincere attitude; we often make great, empty talk with inaccurate words. For example, our love of parents and careers exceeds our love to the Lord. Nevertheless, we pray, “God, I love You!” When we encounter something untoward in family, we are negative and complain the Lord, but we thank the Lord and praise Him in prayers. … If we don’t pray to God with sincere heart but make great and empty talk and say some words which are contrary to our own convictions to God, then we are going through the emotions and cheating the Lord. He will not listen to this kind of prayers at all. Reason 2: We pray to God with wrong intentions and aims, and often ask Him for blessings without obedience. Most of the time, it seems that we are praying to God in an honest way, but we are often making demands of Him: those with no jobs ask for a job; those with no children ask for a child; we ask God to have our diseases healed or deal with our issues at home; businessmen pray for earning more money; students pray to God to bless them intelligence and wisdom; the young pray for a good job, while the old for the absence of disease or misfortune and spending the rest of their days in peace. When in peace, we pray to thank and praise the Lord with a desire of asking Him to protect us forever; when in tribulations and trials, we disobey God’s orchestrations and arrangements, wanting Him to take away the bitter cup. Also we stand in a wrong place to make demands on God and hope He can do everything according to our will. … As a result, the more we pray in this way, the further we stray from God, for this kind of prayer is making a deal with God and there is no true faith in and true love to God. We are making use of Him to achieve our own objectives. Just as the Lord said, “This people draws near to me with their mouth, and honors me with their lips; but their heart is far from me” (Mat 15:8). God will never listen to this kind of prayer. Reason 3: There is no work of the Holy Spirit in the church, so the Lord doesn’t listen to our prayer. This is the most important reason. At the beginning of the Age of Law, there was the work of the Holy Spirit in the temple. Anyone who sinned would get the discipline of the Holy Spirit; and when the priests who served God violated the law, they would be burned by the fire from heaven. Thus people at that time feared God and had a heart that revered God. Yet when it came to the later period of the Age of Law and the Lord Jesus began to do His work, the Jewish people at that time exchanged money and sold oxen, sheep and doves within the temple. They changed the temple into a den of thieves but didn’t receive the discipline of the Holy Spirit. At that time, the Holy Spirit had left the temple and the Lord Jesus began to do His work. So even if people kept the laws in the temple or prayed in the name of Jehovah God, they couldn’t gain the work of the Holy Spirit. The temple once used to serve Jehovah God completely became a religious venue. Let’s have a look at our church, is there any difference between the situation of our church and that in the latter days of the Age of Law? From the outside, although we persist in gathering and praying more often for the revival of the church, our sermons have no new light and believers can’t get true supply; though we read the Bible and pray every day, we only know the letters without understanding the spirit of the Lord’s words; we perceive the withering and dark of the spirit and can’t feel the presence of the Holy Spirit. What’s more, we cling to eating, drinking, pleasures, and status and power. Co-workers struggle and fight against each other, committing sins continuously without receiving the discipline of the Holy Spirit. When we are overcome by transgressions, we do not feel indebted to God, just like unbelievers. … It is obvious that there isn’t the work of the Holy Spirit in our church. There are more reasons except these above. I will not list them individually. Then how should we pray so that the Lord will listen? First, worship God with heart and honesty, speak to Him the true words in our hearts. We all know that God is faithful, in God there is no deceit and fake. God is sincere to every one and He hopes us to be honest. Just as the Lord Jesus says, “But let your communication be, Yes, yes; No, no: for whatever is more than these comes of evil” (Mat 5:37). When we pray, whether we are in a weak or strong condition, we should speak to God; whatever thoughts or plans, sorrow or troubles, we should open up our hearts to tell God. Sometimes we are too embarrassed to tell others about something, we can’t conceal the truth from God but open our hearts and tell the truth to Him. When God sees that we have no concealment but are open and sincere to Him in prayer, He will guide us to understand His will. Then our troubles and difficulties will be solved. Moreover, when we pray, we should quiet our heart before God and pray to Him with a true heart. We cannot be of two minds toward Him or treat Him in a perfunctory manner. We honor our parents and have a conscientious attitude when talking with them, isn’t that because they are our elders and have brought up us? God creates us, bestows us life and provides us with everything, shouldn’t we hold Him in reverence when we pray to Him? Besides, whether we pray to God or seek His will, we are aiming to establish a proper relationship with Him and ask Him to resolve our practical difficulties. And finally, we ourselves are the beneficiaries. Second, stand in the place as a creation of God, make no demands of Him and have a submissive heart as we pray. Every day when we pray to God, we should make sure that God is the Creator and we are under His sovereignty. Whatever happens in our life, regardless of whether it is a big thing or a small thing, it is from God’s orchestration and arrangement. Thus we should pray on everything we encounter, “God, I don’t know the truth and what I should do to be after Your heart on this matter. May You enlighten me. Amen!” If we pray like this, we will please God. We stand in the place as a creation of God and pray to Him, bow down before Him, worship Him, and then thank and praise Him. This is the relationship between a created being and God. When God has a place in our hearts, and we stand in the place of a created being to submit to His work and act according to His words, we will have a normal relationship with God. Then we can gain the work of the Holy Spirit and enjoy the presence of God. When it comes to Job, at the news of losing his livestock all over the mountains and his children, he knew that his all was bestowed by God. From the outside, his livestock were stolen away by robbers and his children were beat to death. Actually, they were taken away by God. Thus he fell to the ground to worship and pray to God with a submissive heart. Later when his body was covered in boils, although he was in pain and sorrow, he would still rather curse the day of his birth than blame God. He said, “the LORD gave, and the LORD has taken away; blessed be the name of the LORD” (Job 1:21). If we can treat God as God, like Job, then God will guide us at any time when He sees that we have a place for Him in our heart. Then we will be keener and keener in spirit and our mind will become much clearer. Anytime when we have the least corruption or incorrect condition, we will realize it right away and solve it in a timely manner. Then we will have a closer and closer relationship with God and make a quicker and quicker progress in our life. Third, since there isn’t the work of the Holy Spirit in the church, we must seek and pray. We all know that in the latter days of the Age of Law, Judaism lost God’s glory. With the name of “Jesus,” God began a new stage of redemptive work and initiated the Age of Grace. For those who didn’t accept the name of the Lord Jesus, when things happened to them, no matter how they prayed to Jehovah God, they couldn’t obtain the work of the Holy Spirit, and God would not listen to their prayer. However, those who accepted the Lord Jesus’ new work, prayed to God in the name of Jesus enjoyed the provision of the living water of life and were accompanied by the work of the Holy Spirit all the time. Today, no matter how we pray in the name of the Lord Jesus, we can’t feel the Holy Spirit’s work. It is obvious that the work of the Holy Spirit has shifted again. It is said in the Bible that “And if any man hear my words, and believe not, I judge him not: for I came not to judge the world, but to save the world. He that rejects me, and receives not my words, has one that judges him: the word that I have spoken, the same shall judge him in the last day” (Jhn 12:47-48). “For the time is come that judgment must begin at the house of God” (1 Pe 4:17). The Lord will come to judge the world in the last days, which is inevitable. He perfects up to the point of which He has spoken. I have been always praying to the Lord to bestow the ointment to anoint us. May the Lord guide us to find the wellspring of living water so that we can be watered and fed. Wherever the Lord goes, we will follow Him to the end. I’d like to pray together with brothers and sisters who have the same wish with me for leading us to follow His footsteps, because the Lord once made a promise to us: “Ask, and it shall be given you; seek, and you shall find; knock, and it shall be opened to you” (Mat 7:7). How to Please God in Prayers? How to please God in prayers? Share with you 4 tips to practice in this article below. We Christians cannot be without prayer to God. Yet do you know how many religious prayers are there among those we make in our real life? Now please read this gospel article “The Tragedy of Religious Prayers”. 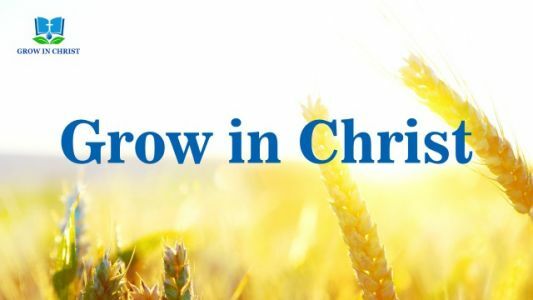 by Liu Shuo One day, I came back home from the church meeting,..
By Xiao Zheng It is known to each of us who believes in God that prayer is vital for our understanding the truth and practicing God’s requirements of us. Whatever tribulations we face, whatever difficulties we encounter in life, or whenever we desire to gain enlightenment and guidance of the..
By Becky, United States It’s not easy for us Christians to learn to keep quiet before God in daily life, because our life is always occupied with something. We either are busy working and doing service or immerse ourselves in social media and the Internet, and even those trivial matters.. It is essential for Christians to pray every day. There are three aspects of prayers we should keep to make us closer to God.